This is a reprint of an adult book first published in 1945. I love Don Freeman as a children's writer/artist and just had to give this a read. It is a political satire/treatise on the racism and segregation he found rampant when he served in the army during WWII. 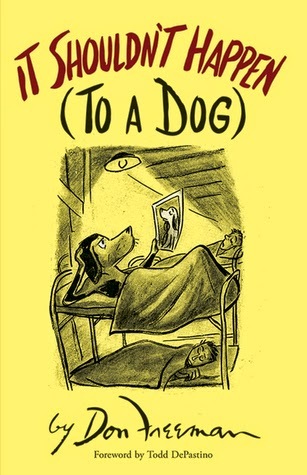 Freeman is a black man and by turning his character into a dog he was able to tell a story he otherwise would not have been able to tell during at this time in American history. Even so, the book was highly controversial and received criticism. There is a very interesting introduction which explains all this and what the themes and symbols of the story are. It is good for its historical value but otherwise, without having read the introduction, I wouldn't have clued into the deeper meaning.